The following article, by Thomas Hoerr, was published late last year. It speaks to me about why a Friends education – a Buckingham Friends School education – is and can be more relevant than ever. It reminds me of our mission, core values, and what our teachers honor and care about. It awakens in me a query; how can we all – educators and parents – concentrate more on developing “citizenship literacy,” a “human literacy,” with a continued, deeper focus and greater intention? Imagine education as a forest. We love to identify and categorize trees. We try to determine which kind will grow best in this kind of soil, which tree will provide the most shade, what kind of wood will be strongest, which tree will grow the most rapidly, and when a deciduous is preferable to an evergreen tree. Every week, it seems, there’s a debate on why we should plant this kind of tree versus that kind of tree, and what trees will be most useful in the future. We focus so much on trees that we ignore the context, the forests, in which they grow and the regions in which they live. Of course, trees aren’t the issue, but there’s a reason why this analogy is so apt. It’s natural to give attention to discrete areas that we can seize and understand, but we ignore the larger and more complex issues when we do this. We educators fall into this forest and trees trap when we focus incessantly on the scholastic skills that students will need in the future, and fail to consider the larger question of how problems are solved. I’ve been reading about digital literacy, workplace-oriented literacy, general literacy, and classical literacy (that would be the 3 R’s). And how long will it be until there is a plea for citizenship literacy? There’s a good reason for these pronouncements. As the economic world becomes globalized, competition for many jobs transcends political boundaries and continents. We have to wonder whether tomorrow’s technological advances will enhance our ability to solve problems or if they will render our human, carbon-based efforts superfluous. These questions have enormous implications for what schools include in their curriculum. But if we step back and look at the big picture—if we consider what is essential in every situation, regardless of what technology or the workplace may require—it’s the ability to know oneself and work with others, our human literacy, that is essential for success. Today and tomorrow, people with strong intrapersonal and interpersonal success skills will be better able to solve just about every problem. On that rare occasion when a problem truly is best solved solo, a strong intrapersonal intelligence provides the self-control needed to focus and fuels the grit required to persevere through frustrations and failures. If the problem is being addressed by a team, group, committee, or task force—all slightly different configurations that each require people to work together—the group will be more effective when people listen to one another, work to understand each other, and appreciate the differences we possess in background, status, and perspective. Character matters, too. We want to work with honorable people who are motivated to do the right thing because it’s the right thing. 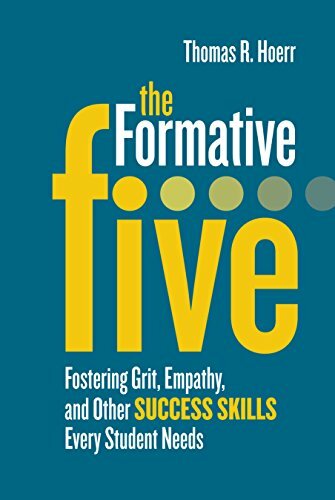 The qualities I call the “formative five”—empathy, self-control, integrity, embracing diversity, and grit—comprise these intrapersonal and interpersonal success skills and become human literacy. These success skills must be consciously taught, included in the curriculum at every grade level and in every subject matter. The difference between empathy and sympathy—embracing the feelings held by others and seeing things the way they do versus simply mourning their condition—should be taught to elementary grade students, for example. High school students should investigate when protagonists in literature have exhibited honesty but not integrity. Self-control should be a focus in every class, as students work to improve by identifying and changing habits that are counterproductive to their learning. Teachers and principals should look for opportunities to help children understand their backgrounds and biases as a first step in appreciating and celebrating others who are different than themselves. A school’s halls and walls should highlight student growth and positive trajectory, not just displaying perfect papers or the art work of the top 20 percent of the students. And everyone appreciating the role of good failures in learning—working to make new mistakes—creates a learning organization. Teachers and principals sometimes agree that these success skills should be taught, but they add that they don’t have enough time to address them. It’s true that we do a much better job of adding expectations than discarding responsibilities, but these success skills are too important not to be directly taught throughout the curriculum. When we teach empathy, self-control, integrity, embracing diversity, and grit, we are developing people who will make a positive contribution in every situation, whether solving a problem at work, coaching a 3rd grade sports team, or being a good friend. Because we measure what we value, we need to find ways to assess and share students’ progress in these success skills. That doesn’t mean assigning letter grades or numerical scores; it means using rubrics, student reflections, and digital photographs of performances or group efforts to capture where students began and how far they have progressed. Classroom walls and bulletin boards can have photos of students learning about and exhibiting human literacy. The success skills should be taught with intentionality and transparency, so students should be involved in creating the rubrics then reflecting upon and monitoring their progress. We cannot let our efforts to teach human literacy be deterred by the fact that these skills are less amenable to measuring and counting than traditional areas. When we think about the future and what skills and understandings our students will need to be successful, we must begin with the end in mind: We want to develop good people. By asking what kind of people we want on our team and in our neighborhood, we will appreciate the need to teach human literacy. Thomas R. Hoerr is currently a scholar in residence at the University of Missouri-St. Louis, teaching in the Educational Leadership program. 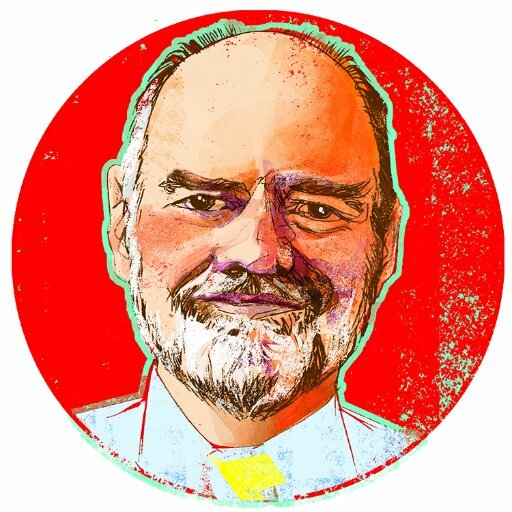 Previously, he led the New City School, an independent pre-K-6 school in St. Louis, for 34 years. Insightful article. Thank you Paul.